Welcome to Unique Solutions Inc - RV Products Group. Our mission is to develop and market innovative and unique solutions that enhance the ownership experience for the Recreational Vehicle (RV) enthusiast, with a focus on ecology and conservation. We specialize in products that extend your boondock time, conserve water, electricity, and fuel. All this while enhancing your RV experience. Turn your RV into a Green Machine. Extend your boondock time by reducing fresh water consumption and reducing grey water accumulation. USI-RV will teach you how you can increase your time away from water fills and dump stations by nearly 100% without losing any conveniences you have become accustomed to. USI-RV.com features Books, eProducts, and Parts Kits that are engineered to the highest standards and field proven. 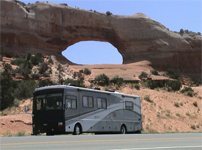 With USI-RV designed products you will enjoy a new level of comfort and freedom using your RV for short weekend trips and extended voyages across our great nation. Anywhere the road leads you; USI-RV will be riding along with innovative products. We invite you to browse through our store and shop with confidence. Use the SIGN IN button at the top of the screen to create a personal user account. This user account will speed up your ordering process (select your name from the "Use Contact:" drop down during checkout) and allow direct access to your eProducts via MY ACCOUNT. Or if you like, you can shop as a guest and by-pass the SIGN IN process. Either way, your shopping cart will be active until you leave the store. Shop with confidence. USI-RV accepts major credit cards or PayPal accounts for secure purchases. USI-RV employees do not have access to your credit card or PayPal information ever! All purchase and credit transactions are managed via a transaction code using Secure Socket Layer technology. Want to learn unique ways of enhancing your RV experience? Get your favorite USI-RV informational and how-to books and calculators with color illustrations, diagrams, and tables shipped straight to you. Take advantage of USI-RV volume sourcing by purchasing economically priced parts kits. The USI-RV parts kits are designed to provide all the standard and hard-to-find parts, needed to implement the USI-RV enhancements to your RV in a snap. 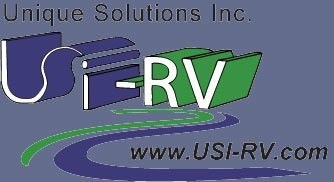 USI RV Unique Solutions to your tank fitting needs. Designed and manufactured by USI-RV, these fittings save you time, money, and frustration.